Scott Momaday is credited with leading the way for a breakthrough in Native American literature when his novel, House Made of Dawn, won the Pulitzer Prize in 1969. Scott, who had a high level academic career, was also a poet and playwright. His participation in the second year of the Playwrights’ Project was then considered a literary coup. I was delighted to have the opportunity to meet Scott over a period of a week where I sat as an observer to the dramatists’ creative process. Little could I have anticipated that I would later hold Scott Momaday as a three-hour conversational captive in my car. I was introduced to N. Scott Momaday in 2000 by Edith Colvard Crutcher, a distinguished North Carolina Cherokee elder who had a significant role in preserving American Indian culture as a member of the Board of Trustees of the Department of the Interior’s Indian Arts and Crafts Board. Edie had read and admired the first three novels in my Booker Series that deal with the metaphysics and social issues of contemporary American Indians, and she was very generous in inviting me to participate in the first sessions of The Playwrights’ Project. 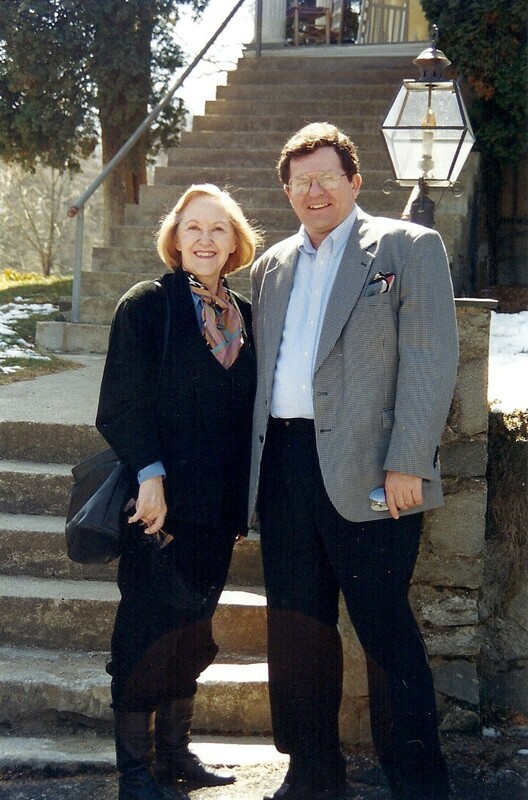 Although I was the 1986 founding president of the Blowing Rock Stage Company, an award-winning Equity professional summer stock theatre that produced five shows each season, I had no playwright credits to become a writer or actor at the Playwrights’ Project. 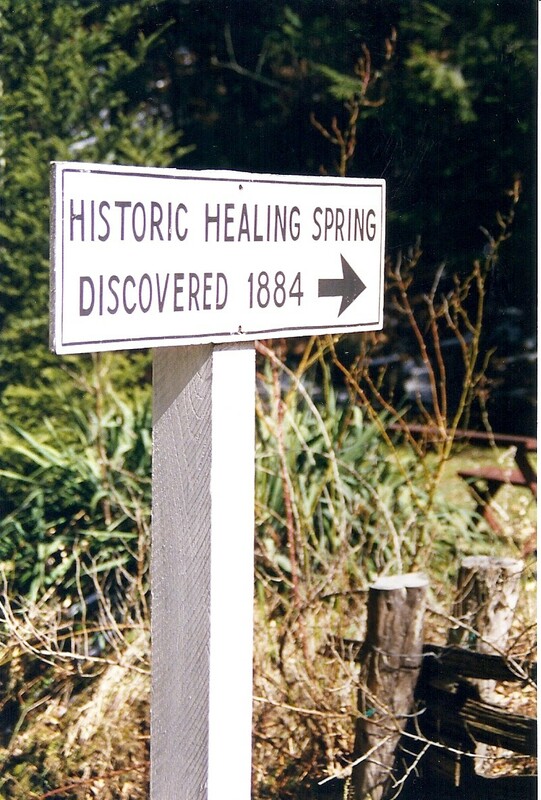 That first session, March 14-21, 1999, my wife Pat and I drove from Boone, NC beyond West Jefferson to the remote rural location of Healing Spring where the invited writers and actors worked in a country school being restored as a theatrical center. Pat and I brought small gifts and acted as an unofficial welcoming committee. We also sat in on the sessions where individual playwrights presented the most recent rewrites of a scene, and actors performed dramatic table readings. Then Artistic Director, M.Z. Ribalow, a playwright himself, led a critical discussion of what had just been presented. I admit to a persistent flaw in my manners. Despite my lack of rank or authority, I cannot keep quiet when I feel that an obvious point needs to be articulated. I have thus offered my unsolicited opinions to First Sergeants, Lieutenants, Captains, and even a Major when I was in the Army, and to Generals, Admirals, and Ambassadors when I was a lowly staff civilian. My faux pas at the Playwrights’ Project was to offer comments from my sidewall guest observation chair to the playwrights and actors at the conference table. Meir Ribalow justifiably did not appreciate my remarks made from the peanut gallery, and thereafter I perceived his scowl whenever I approached. Nevertheless, I admired his talent and dedication to the creative process that lasted until his untimely death. In the first ten years of operations, the Playwrights’ Project, also recognized as New River Dramatists, fostered 345 plays under the direction of Founder and Executive Director Mark Woods. 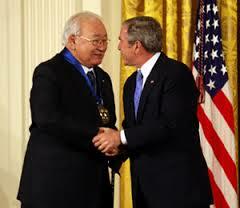 In 2007, Scott Momaday received our country’s highest cultural award, the National Medal of Arts. Other playwrights in the program won a National Book Award and the August Wilson Prize. Perhaps half of the plays workshopped at Healing Spring saw production in New York City and elsewhere. 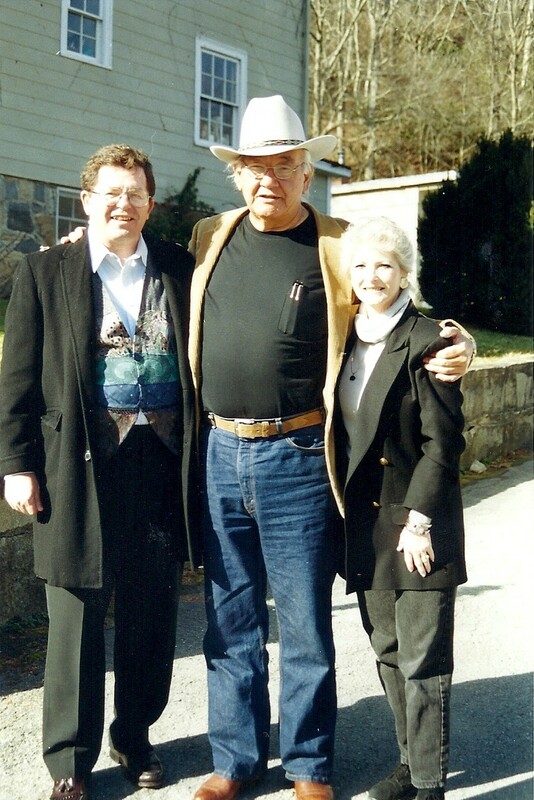 When Pat and I met Scott Momaday, he was a giant of a man at age 66. Wearing a high crowned western hat, he seemed a head taller that I was. In the sessions where actors dramatized scenes from his play-in-progress, he responded to all suggestions generously, and he was obviously one of the group’s favorite participants. At breaks and at the mid-day meal catered by country ladies from their nearby home kitchens, Scott was always available for conversations. He also cooperated with anyone, like us, who wanted to be photographed with him. In a two-week playwrights workshop Pat and I would commute and maybe spend three to four days on site. We were fortunately there when Scott needed transportation to the Charlotte airport. Although it would be at least a three-hour detour for us, we readily volunteered. Scott carried a two-inch stack of airline tickets that he shuffled to find the flight to his next appearance on a long itinerary. 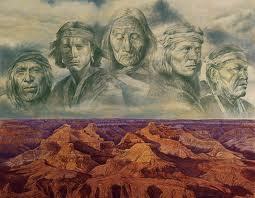 He noted that he did not enjoy the travel, and that he would be happy when he could return to his mountain home in Jemez Springs, New Mexico. Pat drove our Dodge Caravan while Scott sat in the rear seat catercorner from me in the front passenger seat. As a former journalist, I had to avoid the temptation to interview the Pulitzer Prize author on Native American subjects that interested me, but then, too, I was not going to stay silent and miss the opportunity to engage him. I was then working on a long novel, Eagle Feathers In Glass, that was inspired by Lloyd Kiva New, a mutual friend of ours. Maybe that conversation about the Institute of American Indian Arts that had been founded by Lloyd occupied an hour or so. At some point on the journey to the airport, Scott and I found our most common ground: our passion for cooking soups. He described his Southwestern ingredient soups, and I told him my recipe and methods for creating an authentic Louisiana Cajun Chicken-Sausage-Okra Gumbo. Scott then suggested that the most productive use of our next-time meeting would be in a kitchen for a soup and gumbo cook-off. Perhaps he hoped that I might talk less while preparing a gumbo. When we left Scott at the airport terminal, Pat admonished me for talking non-stop. “Maybe Scott would have enjoyed a nap,” she chided. “I already apologized to him,” I said. “He can nap on the flight.” “Mark Woods will probably never ask us to take anybody to the airport again,” Pat added. Since I was only 59 years old when I met Scott Momaday, I trust that he will forgive my behavior as a youthful excess of enthusiasm.